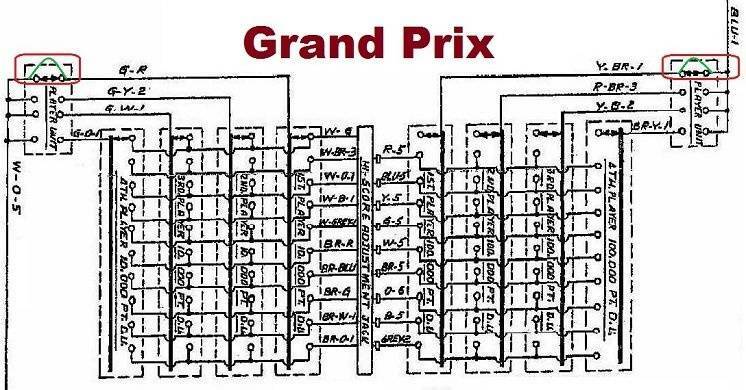 » Forum » Electro-Mechanical » EM Pinball Tech » Grand Prix Player 1 no Hi-score extra ball?? » Grand Prix Player 1 no Hi-score extra ball?? Grand Prix Player 1 no Hi-score extra ball?? I thought I had everything working but this popped up. Player one will not award an extra ball for a high score. All other players will award an extra ball for the set high score via the jones plug. 2 player, 3 player or 4 player game everyone but player 1 can earn the extra ball if high score is achieved. 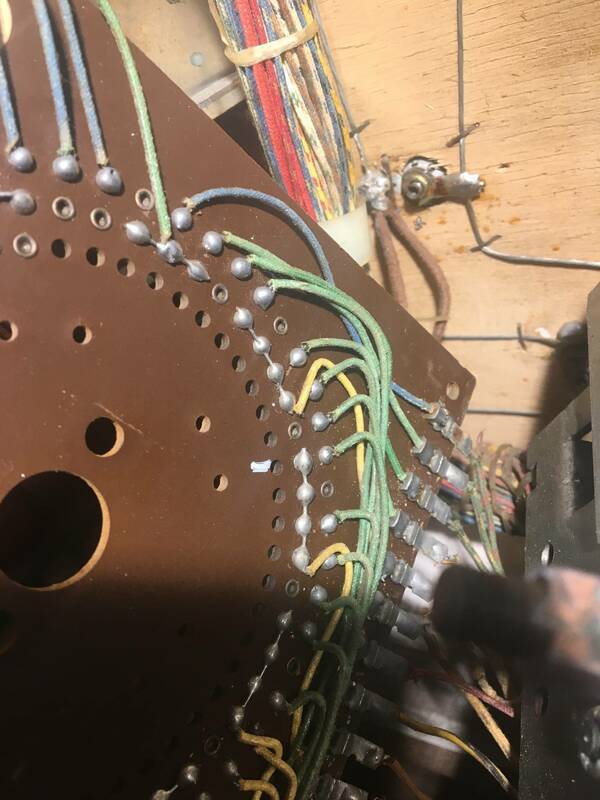 I have continuity from the socket of the high score jones plug selection (plugged in for 500,000, green wire to 00,000 slot) to the 100,000 point reel on player one which is the wire/trace marked 9 on the Bakelite disk. I have continuity from trace #9 to the common on the bakelite disk making me think there is no issue with the 100,000 reel wiper. Since all other players will award an extra ball I am assuming its something with player one's score reel but its eluding me. And I have tried different high score settings and on change to issue. Any thoughts? 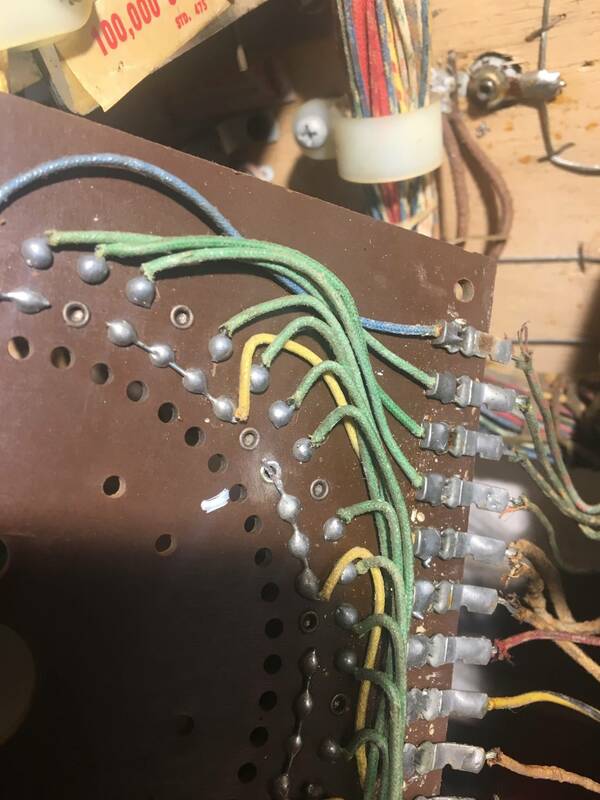 Thanks rolf, thats what is was a broken solder connection for player one on the back side of the bakelite disk on the player unit. Was rivet #34 for player one. Removed old solder and reconnected with fresh solder and its working now. 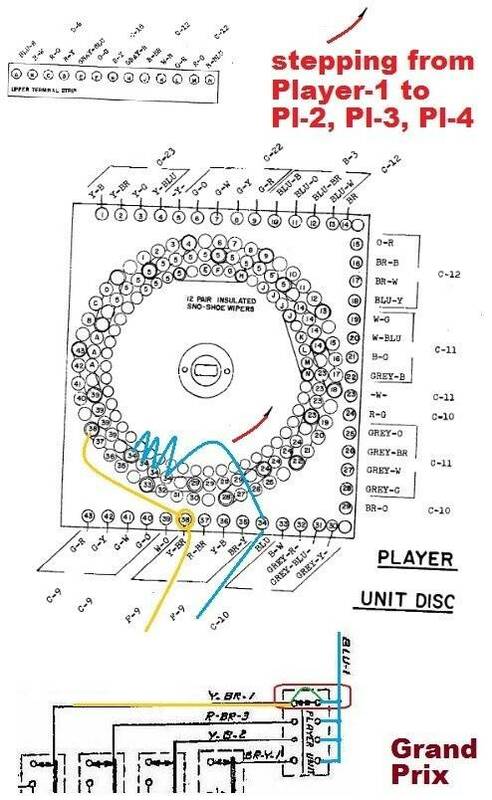 Out of curiosity where on the schematic is that rivet as it seems to be a common for each of the players. 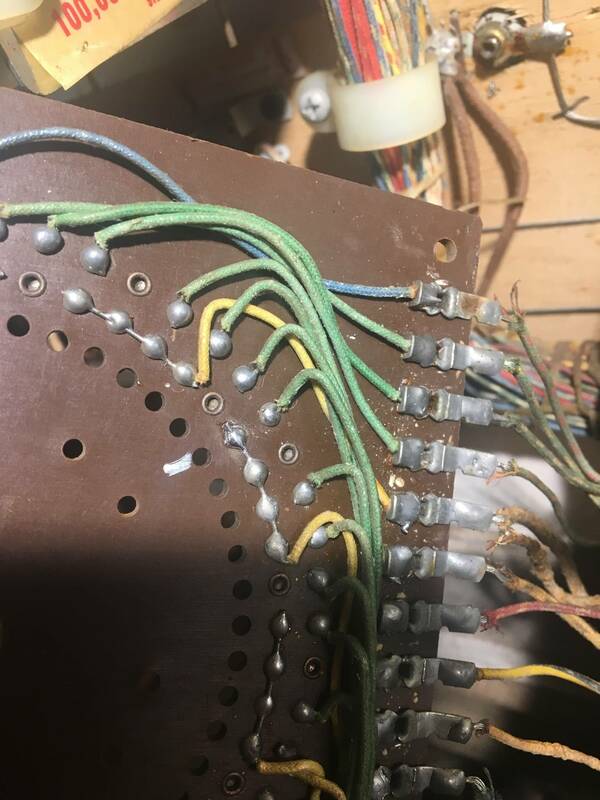 You are good - I was hoping for "wire-Y-BR broken off solder-lug-38" --- but You have found the fault - being inside the unit. Thanks for Your pictures. Amazing you found that! I would have never guessed that solder joint was bad by looking at it. Thanks for posting the results!